VANCOUVER — Eighteen-year-old Derik LaRue leans against a wall near his welding teacher’s office, his welding face mask pushed high on his head and yellow work gloves covering his hands. Nearby, a long green commuter bicycle — crafted by LaRue for another Fort Vancouver High School teacher who uses the bike, with its extended rear rack for daily commutes around Vancouver — shows the range of LaRue’s welding skills. Now a senior with three years’ worth of welding classes behind him, LaRue says his acceptance into the Welding/Fabrication Technology program at Fort Vancouver High School probably saved his high school career. “Without this, I probably would have been bored and just not shown up,” LaRue admits. Instead, he can now envision a career in welding and has gained the skills necessary to transition straight into a high-paying apprenticeship directly out of high school. For teacher David Richards, 46, the point of the welding/fabrication magnet program is not simply to create a cohort of future welders, but to teach the types of hands-on, technical skills that blue-collar industries throughout the country rely on. 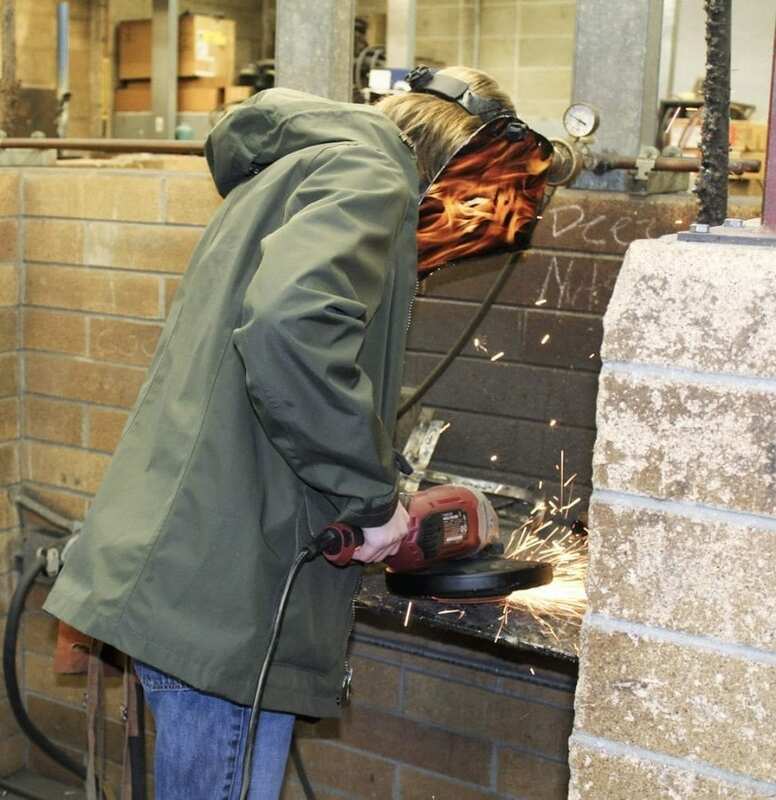 Vancouver School District students going into grades 10 through 12 can apply to the welding/fabrication program, which accommodates about 115 each year and is based inside Fort Vancouver High School. Considered a “program of choice,” the welding class is a half-day course that offers high school students in grades 10 through 12 the opportunity to learn specialized skills. Like many of the school district’s magnet schools and programs of choice, the welding/fabrication tech program is popular with students, especially with students who thrive in a hands-on, kinesthetic type of learning environment. The students in this magnet program work through various skill sets, proving their competency by bringing Richards examples of their work and helping each other master the types of welding techniques that could someday land them a high-paying job welding on aircraft, boats or automobiles. “These are former students who have found good jobs and are now making more than I am,” Richards says, pointing out former students who are working in places like Alaska and for companies that build yachts and other high-end boats. Some students are making more than double the income of their welding shop teacher, but Richards, who had been everything from a semi-truck driving instructor to a mechanical engineer before coming into the education field, says he wouldn’t give up teaching. The Vancouver School District offers 10 different magnet options for students in middle and high school grades, including the welding/fabrication program. Right now is open-application season for the magnets, with several open houses happening tonight, Tue., Jan. 24 and throughout the next couple of weeks. International Baccalaureate, for students in grades 9-12, is a worldwide honors program with an internationally designed curriculum that stresses the importance of mastering all academic areas and developing critical thinking and research skills to facilitate success in college and within the larger global society. Students must have completed Algebra I with an A or B grade by the end of eighth grade in order to be accepted into this magnet program. The open house for this program has already occurred. The application deadline is 4 p.m.,Mon., Feb. 6. For more information, visit http://vansd.org/choices/ib, talk to a school counselor, email river.ib@vansd.org or call (360) 313-3900. The Vancouver School of Arts and Academics, for grades 6-12, offers rigorous academics combined with an interdisciplinary curriculum focused on the arts, including visual arts, dance, literary arts, moving image arts, music and theater studies. The open house for this program has already occurred. The application deadline is 4 p.m., Mon., Feb. 6. For more information about this program, visit http://vansd.org/choices/vsaa or http://arts.vansd.org, talk to a school counselor, email vsaa.arts@vansd.org or call (360) 313-4600. This school, for grades 6-12, features a project-based comprehensive program for students interested in science, technology, engineering and math. The middle school is located at the Jim Parsley Community Center, and the high school is located at the Clark College Building on the Washington State University Vancouver campus. Open houses are scheduled for 6:30 p.m., Tue., Jan. 31 and 6:30 p.m., Thu., Feb. 16, at the Jim Parsley Community Center, 4100 Plomondon St., Vancouver. Students and their parent(s)/guardian(s) must attend one open house in order to submit an application. The application deadline is 4 p.m., Fri., March 3. For more information, visit http://vansd.org/choices/itech or http://itech.vansd.org or email itech@vansd.org. 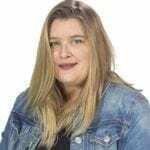 Interested parents and students also may contact iTech Prep’s middle school counselor or program coordinator at (360) 313-5200 or high school counselor or program coordinator at (360) 992-6021. Vancouver Flex Academy, for grades 9-12, blends face-to-face instruction from teachers with online education on individual student laptops. Students attend five days a week. Instruction is divided between classes and independent online study with teacher support small group work. Open houses are scheduled for 6:30 p.m., Tue., Feb. 7 and 6:30 p.m., Tue., Feb. 21, at at Vancouver Flex Academy, 2901 General Anderson Ave. Students and their parent(s)/guardian(s) must attend one open house in order to submit an application. The application deadline is 4 p.m., Fri., March 3. For more information about this program, visit http://vansd.org/choices/flex or http://flex.vansd.org, talk to a school counselor, email vfa.flex@vansd.org or call (360) 313-4350. The Center for International Studies, for grades 9-12, will develop students’ global competence by asking them to investigate the world, recognize perspectives, communicate their ideas and take action to make a difference in the community and the world. No application is required. All students who attend Fort Vancouver High School participate in the program. An open house is scheduled for 6:30 p.m., Tue., Jan. 24, at at Fort Vancouver High School, 5700 E. 18th St., Vancouver. For more information, visit http://vansd.org/choices/cis, talk to a school counselor, email allison.darke@vansd.org or call (360) 313-4000. The Medical Arts magnet, for grades 9-12, introduces students to the expanding field of healthcare, with a curriculum rooted in health, wellness, science, math, technology and medicine. An open house will be held at 6:30 p.m., Tue., Jan. 24, at Fort Vancouver High School, 5700 E. 18th St., Vancouver. The application deadline is 4 p.m., Fri., March 3. For more information about this program, visit http://vansd.org/choices/medical, talk to a school counselor, email fort.medical@vansd.org or call (360) 313-4000. Extensive hands-on opportunities in catering, restaurant management and food service offer Culinary Arts students in grades 10-12 real-world job experience while developing leadership and job skills. An open house will be held at 6:30 p.m., Tue., Jan. 24, at Fort Vancouver High School, 5700 E. 18th St., Vancouver. The application deadline is 4 p.m., Fri., March 3. For more information about this program, visit http://vansd.org/choices/culinary, talk to a school counselor, email fort.culinary@vansd.org or call (360) 313-4000. The Welding/Fabrication Technology program, for grades 10-12, is designed to provide students with the technical knowledge and skills to pursue machining, welding and related career fields. An open house will be held at 6:30 p.m., Tue., Jan. 24, at Fort Vancouver High School, 5700 E. 18th St., Vancouver. The application deadline is 4 p.m., Fri., March 3. For more information about this program, visit http://vansd.org/choices/welding, talk to a school counselor, email fort.welding@vansd.org or call (360) 313-4000. The ACES magnet, for grades 9-12, offers a unique, hands-on experience for students who are interested in horticulture, natural resources, ecology, architecture and related fields. The open house has already occurred. The application deadline is 4 p.m., Fri., March 3. For more information, visit http://vansd.org/choices/aces, talk to a school counselor, email bay.aces@vansd.org or call (360) 313-4400. The SMT program, for grades 9-12, challenges students with rigorous science, math, and technology content to solve difficult problems using a hands-on approach. The open house has already occurred. The application deadline is 4 p.m., Fri., March 3. For more information, visit http://vansd.org/choices/smt or http://skyview.vansd.org/SMT/index.html, talk to a school counselor, email skyview.smt@vansd.org or call (360) 313-4200. According to the school district, magnet programs are full-day programs that feature a unique theme as a focus for the curriculum across all content areas; programs of choice, like the welding/fabrication program highlighted in this article, are half-day programs that provide a concentrated focus in a particular area. These programs are designed to help students explore their interests and gain the knowledge and skills needed for college and careers. Students apply now for the programs that interest them and enrollment will begin next school year (2017-2018). Enrollment in magnet programs and programs of choice is free, but students must apply for to be considered. The district says admission is based on qualifications, not the order in which they receive the application, and that applications will not be reviewed until after the deadline. Students who live within the Vancouver School District will have priority over students from other districts. Transportation is provided for in-district students. The district will mail acceptance letters on Fri., March 10. Students who are not accepted to a program may be placed on a waiting list. For more information about the district’s many magnet and programs of choice, visit the district’s “Choices” site at http://vansd.org/choices.